ALLENTOWN, Pa. (WFMZ-TV) — On this corner of a street downtown, a man named Pastor Tony is making dinner for a special group in Allentown. The homeless, who come here on a cold night, for a warm meal. 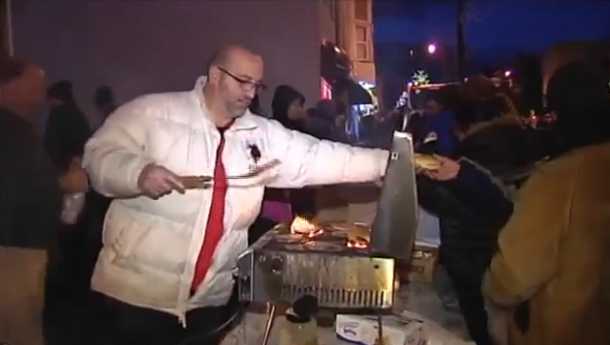 Every Friday night, Pastor Tony and a bunch of volunteers—including the mayor—set up a grill, fire it up, and taking a small bite out of a big problem.